Its funny but out of the estimated 8.7 million species on this planet we really have only have one that likes us. Lets be honest. Some people will say they keep birds and other food items as pets but in most cases they are kept in cages. Even cats are arguable pets at best. They don’t particularly like humans and if they were bigger they would eat you. They would dig their claws into you and choke the air out of you before eating you. Cats are legitimate carnivorous killers. We talk about the one species in 8.7 million that can stomach us. I also talk about how important they are for home security and a very important survival companion. We also take a look back to prehistory and look at the different theories on wolves became terriers. Also why dogs were kept around in some of the most perilous times for human in history. 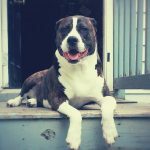 · Why dogs in the home? We probe the chatroom for their opinions and stories about their own dogs. It seems that many great people own and cherish these animals. In fact, the best way to raise my eyebrows is to tell me you are not a dog person. It’s a statement that seems almost counter intuitive with your human heritage. 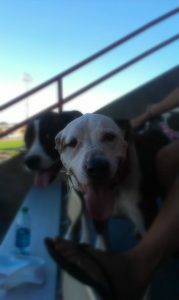 Finally, you have to hear about my two beautiful pit bulls Baxter and Lola. These dogs have changed my life and opened my eyes to what is possible with your powerful dogs. If you have dogs you have companions that will follow you up mountains through rivers and sadly enough to your and their end. They are so devoted and we must give them the respect they deserve. Don’t miss another great show. Its I AM Liberty LIVE! Listen to this broadcast or download “Survival Canines” in player below!